The nickel flat wire wound strings in this set are paired with silver-plated plain strings to create the ultimate light 12-string set. 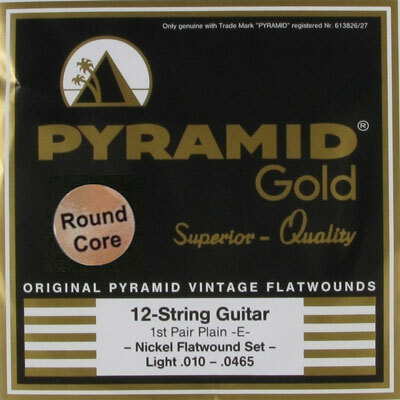 I was looking for the Pyramid Flatwound strings for my electric 12 string guitar. Apparently they are not as easy to find as I thought but Strings by Mail not only had them, but they were a decent price as well. I will definitely be buying more of my strings here. Perfect for one-stop shopping. Just bought an electric 12 string and this was the place to get a flat wound set for it. Very quick delivery and a tremendous selection !! !